We are India based leading Email Marketing Company, who provide advanced, updated & innovative Email Marketing Services, Email Automation Workflow Services, Email for eCommerce, E-Commerce Integrations, Email Campaign Designer, Responsive & Flexible Email Templates, Audience Segmentation, Data Analysis, Remarketing Features, etc. to advertise, and Build your Brand, Sell more Stuff, Automate your Marketing & Advertising, Put your data to work, Find your people, Build Customer Relationship, Nurture the Leads, Analyze your Marketing Efforts, Optimize your Campaigns Accordingly. What do we provide in Email Marketing Services? h) Email Automation Work Flow. 11) We have expertise in Following Email Marketing Automation Services Providing Softwares. 12) Benefits of Our Email Marketing Services? 13) Thus, have a short look at Our Email Marketing Services. "Email marketing is the act of sending a commercial message, typically to a group of people, using email. In its broadest sense, every email sent to a potential or current customer could be considered email marketing. It usually involves using email to send advertisements, request business, or solicit sales or donations, and is meant to build loyalty, trust, or brand awareness. Marketing emails can be sent to a purchased lead list or a current customer database. The term usually refers to sending email messages with the purpose of enhancing a merchant's relationship with current or previous customers, encouraging customer loyalty and repeat business, acquiring new customers or convincing current customers to purchase something immediately, and sharing third-party ads." Email Marketing simply means the Marketing of your services or products done by the using tools of Emails or simply Emails. Email Marketing now is not at all just a simple, one-for-all-type-package or working. Indeed nowadays it has become a complex and highly advanced, personalized exercise which requires understanding your customers', subscribers’ behavior and interests and launching the campaigns accordingly and then see results. Targeted, relevant, and personalized messages are the way to make every subscriber feel unique. Why not, every small or big business wants to increase their customer base, to target the right audience, to build the loyal long-run relationship with them, communicate with them in a more personalized way, drive sales, and convert them into happy promoters. Email Marketing will be the easiest way to achieve all of these business goals for it is non-intrusive, highly targeted, and completely measurable. Here is the bonanza that has been brought by Omkara Marketing Services for the happy clients! Response means to respond, to answer, and to react to something by the verbal, textual, etc. means. Auto Response simply means to respond/answer automatically, more clearly on some machine/computer. That software programme is called as an Auto Responder. In our case, the software programme which automatically responds to the mail is termed as Auto Responder. An Autoresponder is an email marketing campaigns is a series of emails, focused on a specific targeted audience, topic, delivered in a pre-determined sequence at pre-determined intervals. AutoResponders are very helpful, awesome ways to send a series of interval-based emails to people automatically when they’re added to a specific list of your subscribers. They are great for sending out welcome emails, follow-ups or a series of emails all about a specific topic. To use Autoresponder, emails are used that we create, place in a certain order, and then specify the intervals at which they're sent. The Autoresponding process begins when someone subscribes or registers or signs-up to your specific kind of email list. Moreover, we are also able to create new lists catered specifically to those who want the content. Why is it almost mandatory to use Autoresponders for any sort of Email Marketing Services? Autoresponder saves your time which otherwise would be used in dealing with each and every single email coming to your business. This frees the time which you can utilize for further strategies of Email Marketing and other channels of Digital Marketing. Email Autoresponder series builds trust with your prospects. Your Email Autoresponder Messages make regular appearances in their inboxes making them engaged with you. And, you’ll be sharing useful lessons and progressively gaining mindshare. Email Autoresponder with great content is served, it essentially trains the reader to open your emails, visit your website, and ideally, do business with you. An Autoresponder is not same as that of a regular email because it's an automated series of predefined emails. We set it up once, and then anyone added to that specific list automatically starts to receive your campaign’s Emails. The difference between a regularly scheduled email and Autoresponder is that regularly timed email is just a single email we can send to your list on a specific date but with the latter one we will send out a series of emails, in an order and frequency that are pre-specified, all starting at the time the subscriber signs up. We design how it works, and never have to do another thing with it! We consistently address your prospect’s needs and stress the benefits of your products or services and then keep our Autoresponder Emails updated according to that. For that, we also experiment to arrive at the right balance of educational and promotional copy. Examples of Email Autoresponder are Transactional Emails, Direct Emails, Opt-In-Emails, Double-Opt-In-Emails, etc. We provide Email Newsletters Service in our Email Marketing Services. A newsletter is an email you send regularly (say, monthly or weekly) to certain segments of your email list, a list of subscribers who have chosen to receive updates from a company that helps you interact and build relationships with your leads and customers. Typically, these newsletters are summaries of recent content you created. Not every brand needs a newsletter. To find out if your brand can benefit from having one, you’ll need to do some research. First, check out what’s going on in your industry. Do other companies promote a newsletter? Do they advertise what readers can expect by signing up? This gives you an idea of what’s in their newsletters for reference. Next, examine your real goals for sending out a newsletter. Are you trying to increase your number of leads? Or qualify leads so they move on to the next stage of your funnel and speak with a salesperson? Newsletters normally don't have explicit call-to-action, sales messages, but try instead to build a loyal-relationship between a customer and a brand. Newsletter often uses a conversational tone and contain news and information that will be of interest to the customer for what he had subscribed for. The goal usually is to keep a customer connected to a company even when they are not buying anything that means during any stage of Buyer’s Journey you can use Newsletter to keep your customers connected. A newsletter can be beneficial you’re trying to generate leads and traffic to your site, maintain relationships, better qualify leads, and close more deals. If your brand’s goals line up with any of those, you need to craft killer email newsletters. We provide Transactional Emails Service in our Email Marketing Services. Transactional Email simply means the Email related to or sent after certain Transactions (not necessarily monetary transactions always) happened between Customers and the Business. These are emails that are sent out after certain actions trigger them or after some actions have been performed by the users with a company, to send the confirmation a, out those actions. For example, when a customer buys a product or makes a reservation, emails are sent out confirming that transaction. Transactional Emails legitimize eCommerce, Services related business by giving customers a way to prove they have bought or registered for some services or something else. To be qualified as transactional or relationship messages i.e. Mail, these communications primarily must have a purpose "to facilitate, complete, or confirm a commercial transaction that the recipient has previously agreed to enter into with the sender" along with a few other narrow definitions of transactional messaging. Transactional emails often also contain new sales messages. Studies have shown that transactional emails have Open Rate 51.3% of the time, while newsletters have Open Rate 36.6% of the time. Because of this high open rates transactional emails provides ample opportunities to introduce or extend the email relationship with customers or subscribers; to anticipate and answer questions, or to cross-sell or up-sell products or services. Knowing that they have a sort of confined audience, marketers often try to insert new sales pitches into emails that are not explicitly for selling. For example, an airline reservation emails often ask if you would like to upgrade (a kind of upselling) your seat for a certain amount of fee. Once you’ve grown your email list a little bit, how do you engage the prospects and customers you have a relationship with? Transactional emails are automatically triggered when a reader performs a specific action, such as signing up for your newsletter, purchasing a product, and so on. Transactional Emails give the companies the ability to include promotional messages within the body of transactional emails. It is also possible to include targeted and personalized transactional email messages and running specific marketing campaigns (such as customer referral programs). The primary purpose of a transactional email is to convey conformational information regarding the action that triggered it. Welcome emails to a new blog or newsletter subscriber or to a new customer help you make a positive first impression on behalf of your brand. When people fill out and submit a form on your website, send them a follow-up email to thank them for downloading, registering, or whatever they did on your site. It’s also a great opportunity to encourage sharing or forwarding with friends or colleagues or downloading another, related piece of content. To determine which emails your brand should use, identify the goal of your email first and work from there. You may find that your newsletters filled with mixed content don’t perform as well as your informational emails that focus on one specific topic. Transactional Emails help to keep your customers informed and delighted by sending automated emails, such as purchase confirmations, shipping notifications, order status updates, and policy change notices. Transactional Emails include dropped basket messages, password reset emails, purchase or order confirmation emails, order status emails, reorder emails, and email receipts. 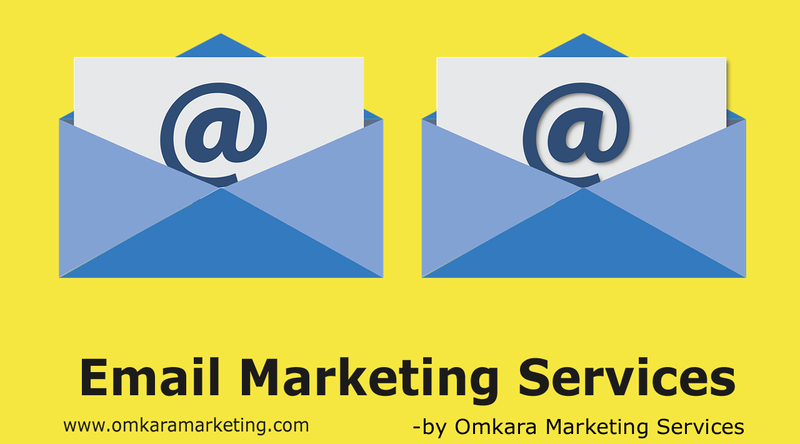 We provide Direct Emails Service in our Email Marketing Services. Any email that promotes products or services of your business and which is sent directly to targeted lists of your recipients/customers is considered direct email marketing. These emails often include standalone advertisements, messages that offer new products to your customers or contain calls to action for a particular product, deal or promotion that your company is running. They are similar to the coupons, catalogues, and sales fliers that used to be sent through the Postal Services. Direct Email consists of the messages, which may be text, HTML, or rich media, look like Web-based ads rather than typical email messages. Direct Email Marketing can also consist of regular e-newsletters sent to customers that detail industry news while promoting your brand or product. Direct Email Marketing is considered to be different from spam or other less sophisticated email campaigns because of the number of reasons. E.g., the (business) sender uses customer segmentation techniques to ensure that the message is appropriate for the list of targeted customers it's sent to, and use personalization techniques so the customer so targeted is addressed as an individual. Direct Emails are used to inform, solely to communicate customers a promotional message about new products, sales, and special offers. They provide customers with direct information about products and usually provide a link or another easy way for customers to access the product. Direct Email Marketing Practice is implemented after you have certain members on your Email List. Then these Email Lists are used by Companies to send direct promotional messages to, or they rent a list of email addresses from service companies. Safe-mail marketing is also used. We provide Opt-in Email Service in our Email Marketing Services. While practicing Email Marketing, senders of Email are very first required to get the permission from the visitors or customers before they can send promotional or any type emails (on regular basis) to them. Many countries around have laws that require permission, or consent before email marketing communications can be sent. E.g. CAN-SPAM in the United States. While obtaining such permission to send the regular mails to the customers, customers are asked to fill out a form that has a conditional line "By submitting this form, you agree to receive our Newsletter from WWW.ABC.COM," it is called as an "opt-in" meaning thereby that user has opted in to receive content from your company. Single Opt-In Email is the email of a user collected by the abovementioned process. Opt-in email is that email, which recipients have previously requested by signing up/registering at a Web site or special ad banner. We call users as "opted in." for those who have signed up in that way. A common example of opt-in-email marketing is a newsletter sent to a Blog’s readers. Such newsletters inform customers of the posts related to topics available on that blog, any other promotions available on that blog, similarly. Before sending such types of email that Blogger should have asked the consent of the readers by opt-in emails if they would like to receive the newsletter. Opt-in email advertising, or single-permission marketing, is a method of advertising via email whereby the recipient of the advertisement has consented to receive it by sign-up or registration request. This method is used by marketers to eliminate the disadvantages of email marketing and to filter out the targeted customers those are likely to be interested in your products or services when they request opt-in mail by signing-up. Opt-in email is an email when someone is given the option to receive that email. Typically, this is some sort of mailing list, newsletter, or advertising. Without obtaining permission before sending email, the email is unsolicited bulk email, better known as spam. Opt-in email marketing may evolve into a technology that uses a handshake protocol between the sender and receiver. This system is intended to eventually result in a high degree of satisfaction between consumers and marketers. If opt-in email advertising is used, the material that is emailed to consumers will be "anticipated". It is assumed that the recipient wants to receive it, which makes it unlike unsolicited advertisements sent to the consumer. Ideally, opt-in email advertisements will be more personal and relevant to the consumer than untargeted advertisements. Opted-in Email Contact Information Data stored in the database is used by marketers to send out promotional materials automatically using auto-responders—known as drip marketing. Such database is also used to segment their promotions to specific market segments. We provide Double Opt-in Email Service in our Email Marketing Services. The double opt-in method has a few more steps. It includes an extra a confirmation step, where the user receives an email and has to confirm their signup by clicking on the link sent in that email. A contact fills out your signup form. and click the link to confirm the sign-up. The Email thus obtained is called as a DoOpt-Input In Email or Confirmed Opt-In (COI). Double Opt-In verify that the subscriber or the user who has signed up is the owner of that submitted Email. Double Opt-In Method ensures that a third party is not able to subscribe someone else accidentally, or out of malice since if no action is taken on the part of the e-mail recipient, they will simply no longer receive any messages from the list operator. This method drastically reduces the likelihood of someone being signed up to an email list by another person. Mail system administrators and non-spam mailing list operators refer to this as “confirmed subscription” or “closed-loop opt-in”, “closed-loop opt-in double opt-in". Double Opt-In can be recommended for those who aren't focused on list growth, or who have had low open rates or abuse complaints in the past. It can also be used to satisfy regulations that may apply in the particular market or country in which they operate. This option gives you limited but qualified Email List. This option reduces Spam Complaints. We don’t provide Opt-Out Email Service in our Email Marketing Services. This simply means business (sender) use the emails of the users or say their emails are automatically put in and then have the option to request to be taken out, without taking the prior permission from them i.e. user is opted out from giving the permissions to the sender to send them an email on regular basis. This approach is illegal in the many jurisdictions. h) Email Automation Work Flow. What is Email Marketing Automation Workflow? 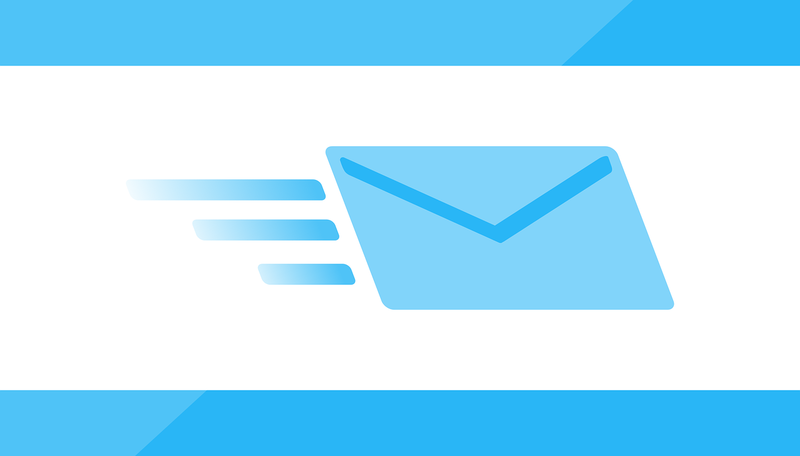 What are the benefits of Email Marketing Automation Workflow? How does Email Marketing Automation Workflow work? Email Autoresponder and Email Automation Workflow. Are they similar or different? So friends, let’s first solve the confusion between these two terms. Email Autoresponder is mainly used to trigger series of emails when a contact is added to a (certain specific) mailing list or based on a particular time, group/Date Field/Action (Opens, Clicks, Un-Open), etc. Whereas the Workflow feature is used to move a contact from one list to another based on the criteria which you have set. But Workflows doesn’t allow to trigger series of emails in. Email Automation Workflow also called as Drip Campaign is a sequenced process of actions that are to be triggered when predefined conditions are met by the emails on the email lists. Email automation means you can create emails ahead of time and set them to launch automatically whenever a user completes a certain action. Email Automation Workflow Campaigns work with a wide selection of if/then statements to trigger actions and deliver more personalized emails based on the type of actions the recipient performs which are the conditions set to trigger the emails and the type of data the marketer has on the recipient. We can work with the more complex marketing automation workflow campaign can even bring in data from websites and other platforms that can be used in addition to email automation. Actually, Email Automation Workflow moves the email-contacts based on the criteria between the lists or say label them by the mail lists or allows a user to set up specific variables to send emails to subscribers, segment them to another list, and send emails based on subscriber behavior like click and opens. Then we can further send the emails to those moved contacts if we have selected the option to send a mail. We, to set up an email automation workflow, create a series of emails that ride your reader through your sales funnel. Email Automation Workflow provides key opportunities to nurture and engage your readers at prime milestones in your relationship. Automation provides you the way you can spend most of your time doing outreach to your qualified leads (who are actually interested), instead of spending too much time trying to reach everyone who visits your site. It also saves the time and spends most of it doing outreach to your qualified leads (who are actually interested), instead of spending too much time trying to reach everyone who visits your site which helps to increase the brand engagement. With automation workflow, we won’t waste any more of precious time on prospects who aren’t interested in making a purchase. Instead, we use email marketing automation to filter out everyone except for the cream of the crop -- that way. Email Automation Workflow helps to deepen the Communications with customers depending on their experience with and sentiment towards your Business. For that, we may send out a satisfaction survey and use marketing automation to automatically split customers into happy and unhappy segments which further helps to build personalized email campaigns. We have a strong idea of how customers behave before making a purchase. We in (email) marketing automation use lead scoring to give each potential customer a score (a ranking mechanism that qualifies your leads/users based on predefined criteria), we always try to segment your leads/users based on their interest in your site, how close they are to selecting your product/service, making a purchase, or upgrading to your premium offering. Use lead scoring as a ranking mechanism that qualifies your leads/users based on predefined criteria. Once you know this, you can create a new attribute in your database called “lead score,” which has a default value of zero. We can set up a marketing automation workflow that adds a certain number of points if a prospect completes a certain action (e.g. clicking on a link in your email). Track your marketing automation strategy like a conversion funnel. Monitoring automation KPIs enables you to identify roadblocks and try new ideas or make necessary adjustments to fix them. We keep track of your conversion rate, the steps people take before converting, and the average amount of time a conversion takes which all help want to get the most out of your marketing automation strategy. This allows you to identify how effective your email marketing automation strategy is at acquiring new customers and where you might be able to improve. We follow the Golden Rules of The Founder of Microsoft- Bill Gates stated for the Automation Technology when used for the Business and Marketing. We also help to Integrate the Email Marketing Strategy with other types of Digital Marketing Services, only if joined from ours. We always advise our clients not use Email Marketing Strategy as isolated technique indeed properly integrate it with as many Digital Marketing Services being provided by us. We Integrate Email and Blog. We also use Email Marketing Analysis to get more insight from other marketing campaigns. Goal Setting or Strategy Defining is the foundation or the base to make an email marketing campaign successful. The goal is the Target which you decides on certain parameters to achieve through the Email Marketing of any other Digital Marketing Campaign. Once this Goal is defined then the path between you and the Goal gets ready automatically through the Email Marketing Services provided by us. This goal will itself guide the direction of the campaign and makes it easier to measure the success of your efforts. Otherwise, if there is no goal then ask yourself questions that why you would send anybody an email? What do you want (your expectations) to achieve after spending a certain amount on an Email Marketing Campaign? What action(s) do you want your subscribers to take? Why should your subscribers care? Who are you sending the campaign to? Do you want to increase sales of your product? We use Opt-In-Email or/and Double-Opt-In-Emails to grow your Email List or Subscriber List. To get the email results that’ll put a smile on your boss’s face, we need to start with your email list. Before you roll out your new email marketing campaign, you’ll need to build a list of recipients to get those messages to first or grow the existing list you currently have. When you create an audience by building an email list, you’ll have the opportunity to nurture and develop them in a way that keeps highly engaged and interested in what you have to say. After all, by signing up for your emails, these readers (and potential customers) have already expressed that they want and need your help. This makes selling what you’re offering a lot easier later down the line. But as you may have (begrudgingly) figured out, it’s pretty hard to capture email addresses from total strangers. Getting readers to sign up for your email list takes trust-building and effort – and there are no shortcuts along the way. There are so many different list-building strategies that it may be hard for someone just getting started to find the one that works best for their brand. There are so many different list-building strategies that it may be hard for someone just getting started to find the one that works best for their brand. We use different Email List Building strategies depending on the Business and many other factors. To help you grow your list and attract quality email subscribers, there are a few steps we use which are given as follow. Which we consider as very crucial for List Building as it is the content which is actually seen by the users and content is actually consumed by the web users and not your strategy, so it has to be attractive, lucrative, seductive, eye-catching, relevant, un-interrupting, etc. Your form should tell readers exactly what they're going to get after submitting it. Will they be getting them an event newsletter, weekly newsletter? Product promotions? Setting clear expectations will be the key to attract the quality subscribers who want to hear from you – and your newsletters won’t land in their spam folder. Your sign up or any other form must explain vividly the benefits to submitting the form for your list, including information about the content (i.e. blog updates, email newsletters) and how frequently you'll be sending (i.e. daily, weekly, monthly). By defining this up front, your subscribers will know exactly what they signed up for, which increases the chance they'll view your emails as valuable instead of spammy. We try to make CTA personalized. This is the part of your sign up form where you ask readers to take a specific action. Another tactic we employ is to use dedicated landing pages you can optimize and A/B test for focused conversions. This defines the web page on which and on that page in which part your form will appear. Ideally, we always try so that a form is placed in a location where it's noticeable and grabs your visitor's' attention. This location also depends on the type of form is used. We try to create a seamless experience, through form design which reflects the look and feel of your website and/or brand across all the platforms. We also take care that a cohesive user experience will help to establish credibility and build the trust of your business/brand with your audience. Moreover, in addition to carrying over various brand elements, we also consider the size of sign up form and colors, etc. used within it. Nothing is free in this world we have to pay in some manner. So offer your prospects something valuable, relative incentives considering in which stage of Buyer’s Journey they are. We use Social Media as a part of list building strategy and encourage your social media connectivity to fill up your Form to grow your email list. E.g. a sign-up form added to your Facebook Business Page and sharing a link to a web-hosted version of your sign up form. We never lose any chance to grow your email lists. Hosting a viral contest is a great way to collect email ids and increase the reach of your brand. l) We always believe in Integrated Marketing approach and hence never hesitate to collect the Data (Emails) from the customers visiting your offline stores and then using them in Email Marketing Campaigns. We consider the following factors while practicing segmentation strategies and targeted email marketing. Once you’ve built an email list of at least 1,000 subscribers, you can start A/B testing. A/B testing emails mean sending two slightly different emails to your readers (an A version and a B version) to see which one garners more engagement. Testing may be the most powerful conversion optimization strategy there is. The great news is that hardly anyone tests their trigger-based automated campaigns. Why is this great? Because you have a huge opportunity to get ahead of the pack. Test a subject line, every time you send or at least once per week. Think about your CTA and the copy. Replace ‘Submit’, ‘Continue’ and other words with more meaningful CTA copy on your buttons. Play with formats: how can you break up your CTA? Could you use a question and answer style? Should you use long-form, ‘story’ style email copy? HTML vs basic rich text? Do images help sell your recipients or do they hinder? Should you send three emails in a row or just a single email? Pick one variable to test. Split your email list equally and randomly. Decide how significant your results have to be. Run the test long enough to get substantial results. Statistical significance of your results. But that Remarketing / Retargeting has slightly different meaning when it comes to the Email Marketing Services. Basically, Email Remarketing which is also called as Email Retargeting shows ads across various search or/and display networks along with different another adjustments, to anyone who opens up your email or not, not necessarily user must be your newsletter subscriber. Thus Email Remarketing/Retargeting technique allows you to create contextually relevant display advertising across the web. This gives another benefit leading to reduce overall email-sending frequency while maximizing the effectiveness of multiple channels. Email Retargeting makes incorporation of display advertising into an email campaign easier and supplements an email marketing campaign with display advertising effectively and simply. Email Retargeting works precisely the same way as that of other Digital Marketing Channels do for website retargeting, but allows you to target users on your email lists or users on email subscribers lists rather than website visitors. In Email Remarketing we place a small snippet of code in your email signature, or in the HTML of your email, and anyone who opens or doesn’t open your email will be served ads all over the web with different variations controlled by us. The main benefit of Email Marketing is that it is a typically powerful way to keep your products or services or brand awareness campaign in front of your email list without sending more emails and risking mass unsubscribes. In order to get visitors who initiated in order to come back to your website and complete their order, you need to engage in email remarketing. This abovementioned technique is an incredibly powerful tool for email marketers who want to reach out to their readers (who open their emails), but what about those who don’t open your emails? The abovementioned simple Email Retargeting cannot target those customers, but there is another retargeting solution that can do this feat for you and that is our CRM –Targeting Services. What CRM Targeting for Email Remarketing does that it takes Email Lists in order to serve retargeted ads to users. The users on the email lists needn’t visit your website, click on, or even open an email. 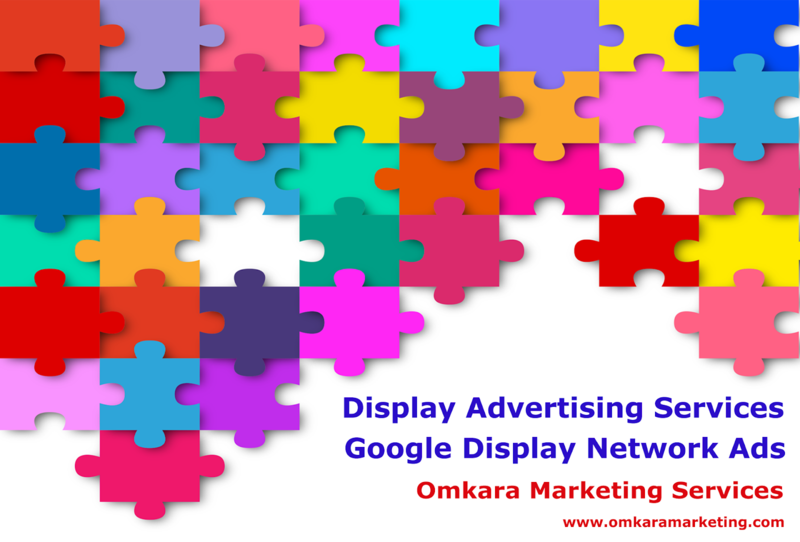 Monitor, Analyse Results and Optimize your Google’s Search Network Campaign. After creating Email for Email Marketing Campaign, and your campaign is up and running. The very next step is to find out how it's performing. Tracking statistics like clicks, impressions, and open-rates, bounce rates, click-through rate is a great way to start. Now that you've created a campaign, it's time to measure your Email Marketing Campaign’s performance. You can analyze basic account, campaign and ad group information using the different data and reports available in different Email Marketing Softwares. There are also advanced reports that go beyond the number of emails opened, clicked that you're getting, allowing you to see the impact that overall Email Marketing Campaign has on your business. As you get email marketing campaign kicks off and starts running, we consider several different tools that can help you measure and optimize your ad performance. To assess email marketing performance, we conduct ongoing trend analysis of several key metrics. Then it becomes easy to compare each campaign’s performance against your own averages to know whether a specific campaign outperformed or underperformed your internal email benchmarks. It's the basic step and also most important to understand the business goals you're trying to achieve for what campaign was started and the data that's most valuable and relevant to those goals can be obtained with Email Marketing Software more effectively. Below given are the most important different email metrics to measure to focus based on your goals when we analyze the campaign’s performance. These statistics will be then used to optimize, to improve the performance of your email marketing program overall. We also consider the cost of lead acquisition, but for now know this: your email list is one of your most valuable resources, and if you learn how to treat it right, the cost of doing so will pay for itself. "Marketing automation is like a second brain for your business. A brain that automatically helps you find and connect with your audience so you can build your brand and sell more stuff. Activating your MailChimp brain is free and easy. Explore most powerful automation that handles the marketing stuff so you can focus on the rest of your business." 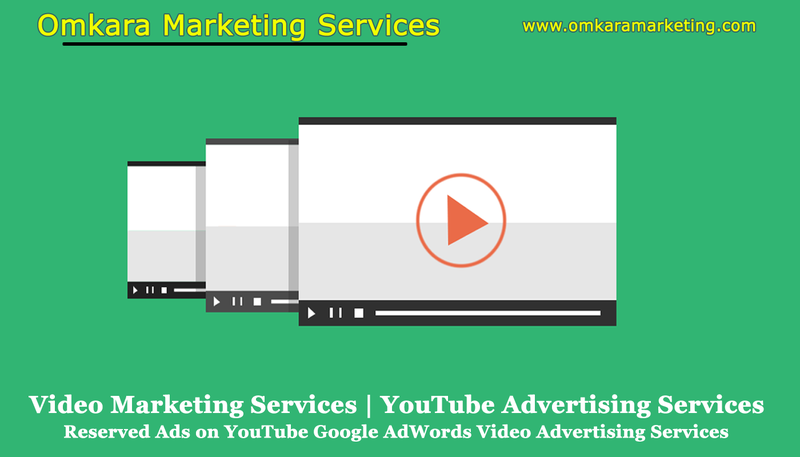 So then we, Omkara Marketing Services are who help their clients in the similar way to get most out of their paid & non-paid marketing efforts. Email is considered as a direct messaging channel to reach the end users. Emails are used to improve communication. Emails are used to build your brand awareness. Messages or as promotions (when land in the inboxes of users’ emails) sent via Emails have maximum lifespan than for any other Digital Marketing Channels. Emails after sent keep capacity to Generate calls from your end customers. Email Marketing is always considered as a direct sales tool. Email is almost considered at top of the mind of end users. 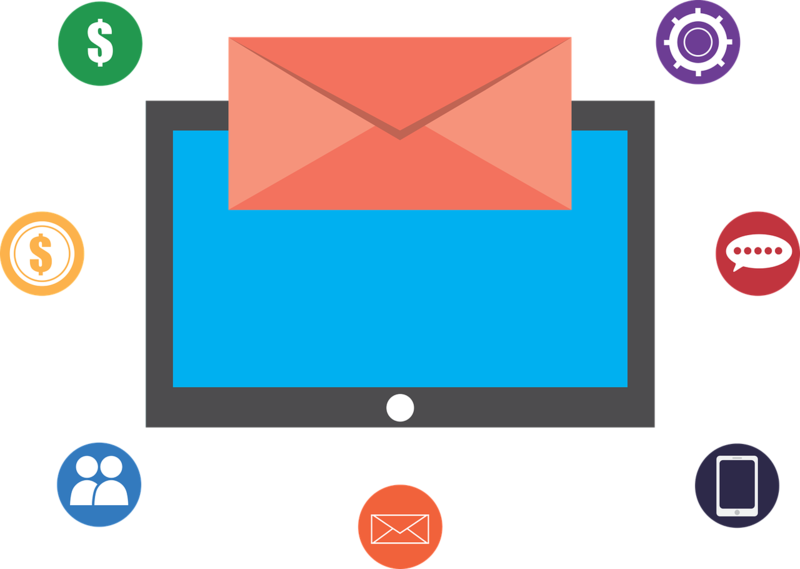 Email Marketing Campaigns are considered as the cost-effective marketing campaigns with Reduce Overhead Costs. Email Marketing grows your audience. Email Marketing increases website traffic. Email Marketing generates and increases leads. Email Marketing drives conversions, boost conversions. 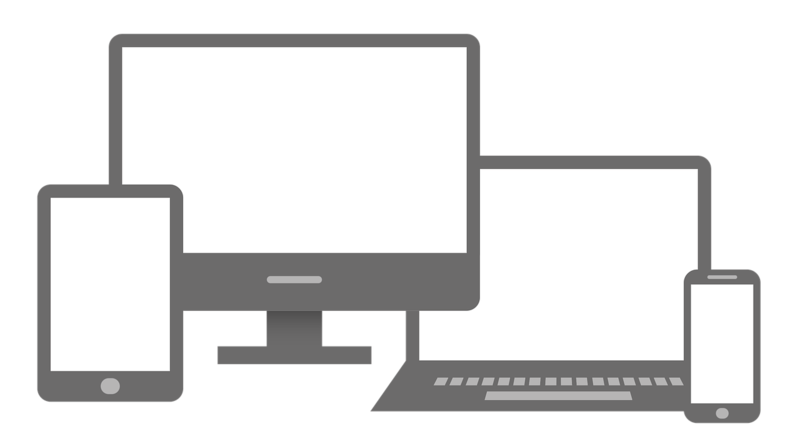 Emails allow you to reach people on any device. Email Marketing allows using A/B Testings. Email Marketing allows Optimize Your Content. Emails Marketing allows increasing your value. Email Marketing fosters long-term relationships and also to strengthen relationships. Email Marketing ensures delivery to reach your customers by 24/7. Email is capable of sending Real-Time Messages, to test marketing messages and that too also frequently. Email Marketing has also the exponentially better ability and capacity to track sales and customers engagement with a cost-effective method. Email Marketing further provided its user to share the information or promotional messages sent through emails with other users or forward them. Emails are considered in the category of personalizes marketing/message. With Emails today also it is considered as the medium with reduced time and efforts to send your marketing or any messages to your customers. Email marketing is a powerful channel for driving real business results and achieving measurable ROI. Email Marketing has an easier capability to segment user and customer database information. Integrating email data with other data systems. Using email for funnel optimization. The Business Goals for Email Marketing Campaigns, Email Automation Workflow vary widely, from brand awareness and company news to promotional offers and lead generation. In every case, our different types of email marketing services offer our clients a competitive, valuable opportunity to appear before their target customers and prospects with useful, valuable, customer-centric, solution-based, and actionable information. Responsive & Flexible Email Template design. Distribution of Emails according to the Personas of the Email Lists sorted. Analyzing and Reporting of Email Campaigns. Optimization of Email Campaigns according to the analyzation. A/B Testing i.e. Spilt Testing. Content (Image, Info-graphics, Blog Posts, Texts, Videos, etc.) required won’t be created by us for Email Marketing Services, Email Marketing and Automation. We can provide Content only through Content Marketing Services.